Vietnam is completely different from all other countries I have visited so far. The amount of things happening everyday is overwhelming. It is just like another world and totally differs from home. I was very much expecting getting around the country to be surprising and challenging. My impression about Ho Chi Minh City? It is chaos. There are more motorbikes than people. I like to call it Scooter City. 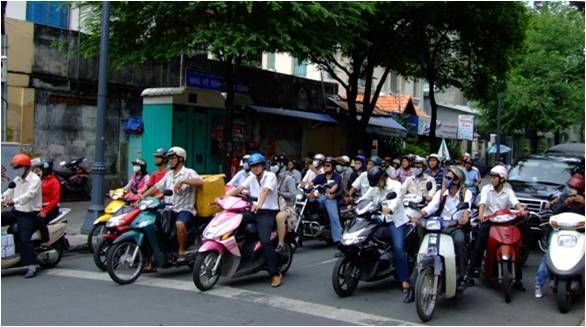 Scooters have dominated the city, and when there is not enough space on the roads, people just drive on the pedestrians. “When you are in Rome, do as the Romans do” so I booked a scooter road trip from a tour company to discover around the city and Mekong Delta.